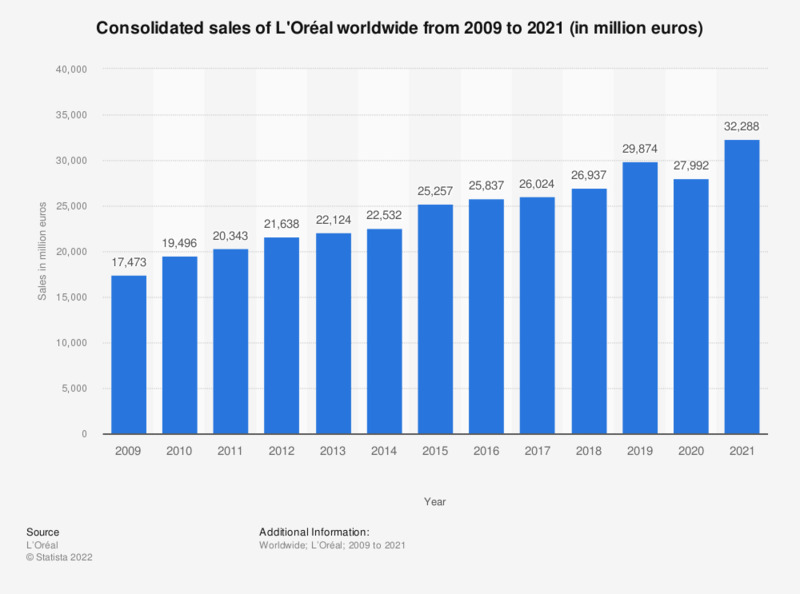 This statistic depicts the consolidated sales of L'Oreal worldwide from 2009 to 2018. In 2018, L'Oreal's consolidated sales worldwide amounted to about 27 billion euros. L'Oreal is the world's largest cosmetics and beauty company, concentrating on hair color, skin care, sun protection, make-up, perfumes, and hair care. By 2018, the beauty expert is forecast to generate sales of approximately 28.61 trillion euros worldwide. The company is also the leading nano-technology patent-holder in the United States.